This upscale yet inexpensive item has a fun, dimensional feel with bold, vivid colors. Sure to please anyone! 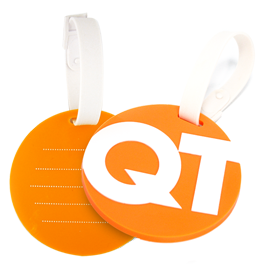 Standard size is 4" x 2-1/2" or 3" circle - Custom design tag with writable imprint on back.